Nonfiction is something that is based on true facts. The writers of non-fiction novels pick up a true story and elaborates it in such a way that keeps the reader hooked on till the end. Books on biography, memoir, history etc. fits in this category. Dramatic story telling pattern, keeping twists and suspense makes it as popular and exciting as fiction novels. So, here is a list of best non fiction books filled with thrilling history and mystery. An excellent historical novel that portrayed the daring movements of young souls against the Nazis. When the danish people bowed down to the Nazis some young teens chose not to. Instead they took part in a revolution. 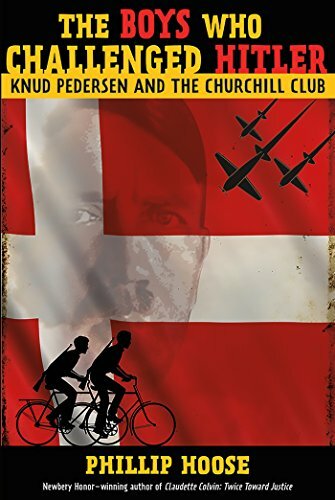 15 years old Knud Pedersen along with his brother and some school class mates formed a club named after fiery British leader and decided to choose bravery instead of submission, unlike their adults. The young souls of Churchill Club took part in a heroic movement when their nation's leaders couldn't take the right decision. Through their sabotage activity they flamed up Danish resistance. The bravery of these young patriots paved the way and guided their whole nation. The novel is a national book award winner. This engaging true story is definitely a good read for the teens or pre-teens. The kind of a story that will flare up courage and boldness among it's readers. 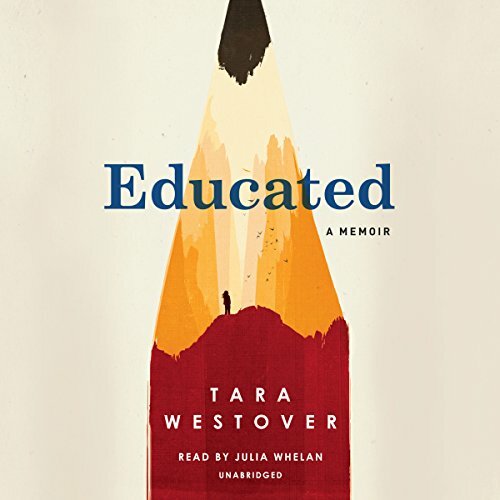 This novel is a memoir written by Tara Westover. The story progresses as Tara reflects onto her life in the mountains. Growing up under the shadow of a superstitious survivalist father and family Tara faced her early life overfilled with difficulties and horrific struggles. Tara's messed up family kept her away from the mainstream society. But instead of all these odds Tara chose the path of liberation and escaped herself from the dominance of her parents. She was 17 when she formally began her education. In-spite of her family's disapproval Tara achieved highest form of degree from best institutions. Her passion for knowledge motivated her to fight against the odds and take hard decisions. This journey of self discovery from a daunting childhood is so engaging that it will keep the reader on an emotional roller coaster and trigger empathy and admiration for this amazing women who fought and overcame her odds and reached success. This incredible story of struggle touched the heart of several recognized people including Bill Gates and Barack Obama, also attained the glory of becoming the finalist of National Book critics circle's Award- in autobiography. Take a jump into famous songwriter and country music artist Jimmy Wayne's life as he describes his struggles as a foster kid. Abused, abandoned, neglected as a foster kid, Jimmy Wayne's life changed when an elderly couple Bea and Russel Costner found him at the age of 16 and supported him to get his chaotic life together. With every page Jimmy profoundly expressed his gratitude towards them. The power of love encouraged him to pursue his dream in the music career. In Jimmy's narrative, learn about his remarkable journey to fame and his meet me halfway campaign: where he took a 1700 miles walk from Nashville to phoenix to raise awareness for homeless kids. A walk that changed his life. Himself as a victim, he understands the pain and difficulties a foster kid goes through. Which is exactly why he dedicated himself to help them. 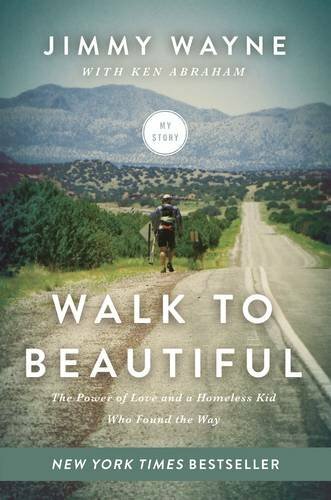 Walk to Beautiful (Achieved New York Times Best seller title) is an inspiring true story that will give you a push, hope and purpose in life. 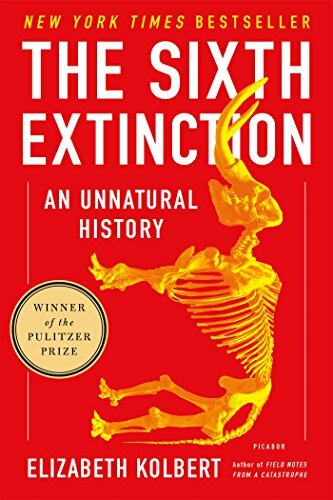 In this massively researched book New York writer Elizabeth Kolbert explained the previous five major extinctions that happened on earth through out billions of year. And now stands the biggest question. If massive extinction could happen before it can re-strike again. And this would be the 6th and most dangerous extinction since the birth of the earth. She wrote this book in combination of wit, humor, hard science and history. The book is filled with stories of extinct species and how their extinction left an horrendous impact on ecology. Mankind is the biggest culprit for these extinctions and ecological imbalance. They chose to be superior and powerful. But mother nature is not forgiving, it shows its rage by calamities, global warming and these massive extinctions. Who knows when will be the 6th and most devastating massive extinction? Or what will be its impact? But Kolbert's book forces us to rethink its relation to mankind's selfish activities. National Book Critics Circle award finalist. 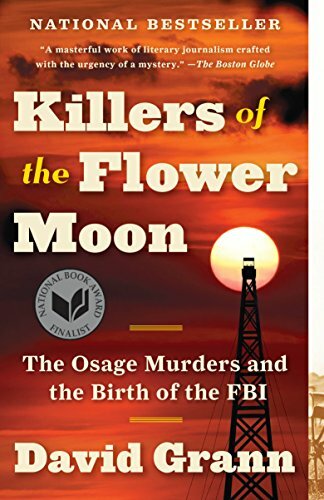 In this book writer David Grann unraveled one of the darkest chapter of American history where corrupted greedy whites systemically murdered the native Americans of the Osage tribe. A powerful true story that will shake millions of heart, recognized as one of the most heinous and brutal act of mistreatment and systemic annihilation in the US history. In 1920's native American's of Osage tribe were acknowledged as millionaires when huge amount of oil was discovered beneath their properties. That's the time mysterious murder's took place one by one. People who tried to investigate also fell victims of the brutal murders. As numbers of death began to rise, they newly formed FBI to investigate the case. The story progressed with the birth of FBI and the role they played to expose this massive annihilation. 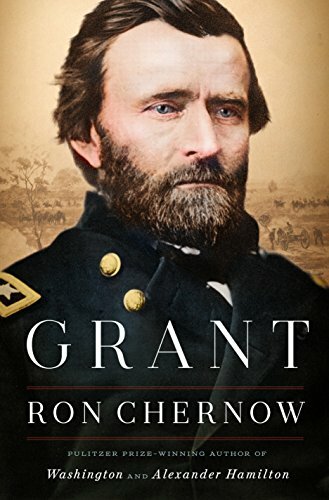 In this Remarkable Book Author Ron Chernow covered Grant's whole life and presented it as a Biography where he focused the true self of Grant, his fortunes and failures, his contribution as a U.S president, his contribution and struggles to sought freedom and justice for black Americans even his ironical excruciating death. He also disclosed the horrendous truths of the civil war. Written on historical context, A book, that gives insight about the U.S history of the 19th century. Despite of its size it's so interesting and beautifully portrayed that it is hard to put once you started. A very well written book on a historical figure with the right amount of research to intrigue your curiosity. A True story that accumulated history and science to uncover the mystery. 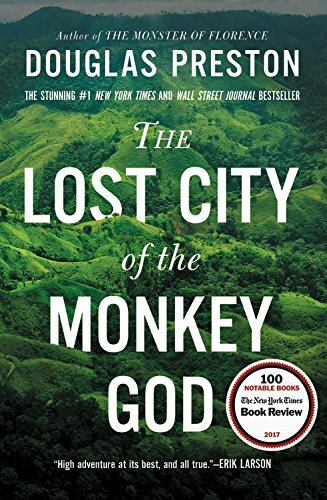 There were rumors about a mysterious city in the Honduran rain forest "City of the Monkey God". The ingenious people believed and spread all creepy stories like whoever explores that city, dies! Once in 1940, a journalist came out of the rain forest with hundreds of artifacts and claimed to have found the lost city but even he committed suicide soon after his discovery. To Unravel the mystery, Preston together with a group of archaeologist decided to explore the lost city after failed attempts of the past. Through their intense exploration they once again discovered the "City of the Monkey God" filled with artifacts but their discovery also came with a price as they suffered terrible consequences through out their journey. 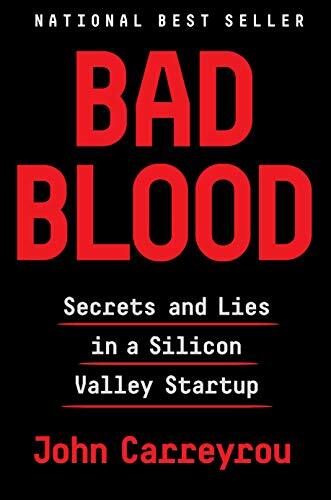 In this book writer John Carreyrou disclosed one of the biggest fraud in a Silicon Valley startup with an intriguing plot. This true story will shake your ground by uplifting the curtain from an unbelievable act. Elizabeth Holmes, widely seen as the next Steve jobs promised an invention, that can do comprehensive tests by using a few drops of blood. The idea triggered a revolution. Soon she formed a billion dollar worth company backed up by investors. Her company Thernos began to sell shares that worth billion dollars. She used her charming attitude and charisma skills to make the world believe that Thernos would create a revolution. But all her ice castle broke down and shattered when in an investigation the ugly truth of her whole act came out. There was no such technology. All were fake empty promises. 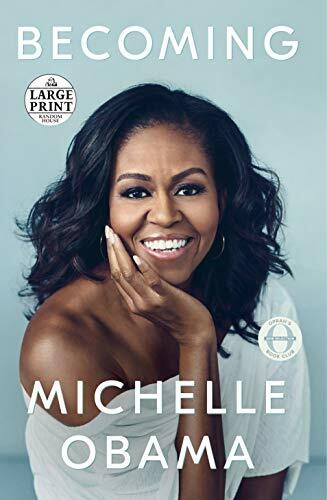 A powerful memoir by the first lady of America, Michelle Obama, where she explained her life experiences and anecdotes. The book can be divided into three parts where in the first half she spoke about her early childhood and career choice, in the middle half she explained herself during her husband's presidency, and in the later half she focused about becoming more- as life gives stress and challenges. Michelle Obama, a strong charismatic lady with grace and beauty explaining her true self ignoring the world's judgmental comments, is truly a masterpiece. Unlike other memoir it's not only about self boasting or self accomplishments. Her empowering story will feel like regular kids dreaming about making a change.